If you have always fantasized of enormous comfort and warmth then our 15 tog polypropylene cased duvet and pillow sets are just perfect for you. Filled with 100% polyester hollow fibre, our exclusive duvet and pillow sets will furnish you a welcoming feeling in icy nights. 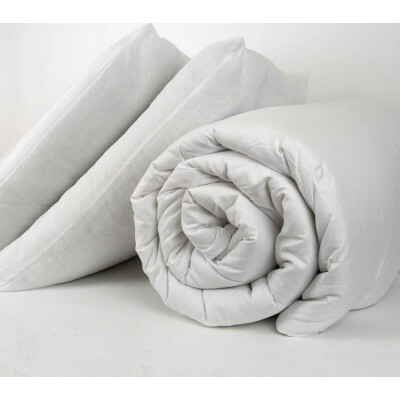 Bedding mill offer a wide range of duvet and pillow sets in single, double, king and superking sizes. Its super soft and smooth poly cotton casing will surely pamper your delicate skin.